You probably have noticed your Facebook engagement falling in a downward spiral lately. But there’s no need to panic. 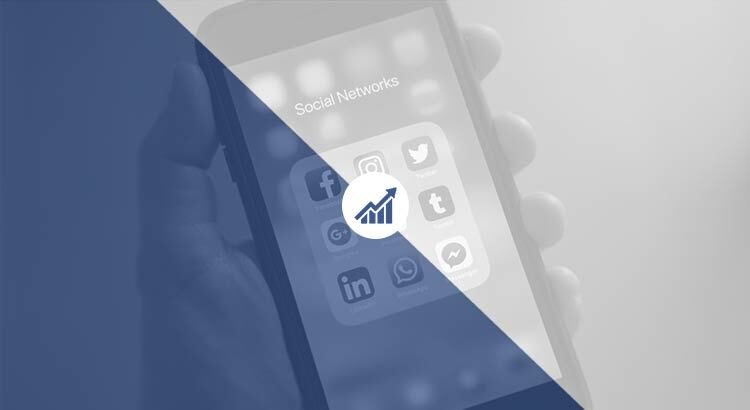 Although there have been constant changes to the Facebook algorithm leaving many marketers, agencies and brands sweating trying to understand what they need to do. So what is the answer to increase Facebook engagement? Brands need to rethink how they earn likes, comments, and shares on their posts. The ones who do rethink their strategy will reap significant benefits. As for the businesses who don't... Well, you can expect all the time they have put into growing their Facebook pages to have half the effect as they once did. 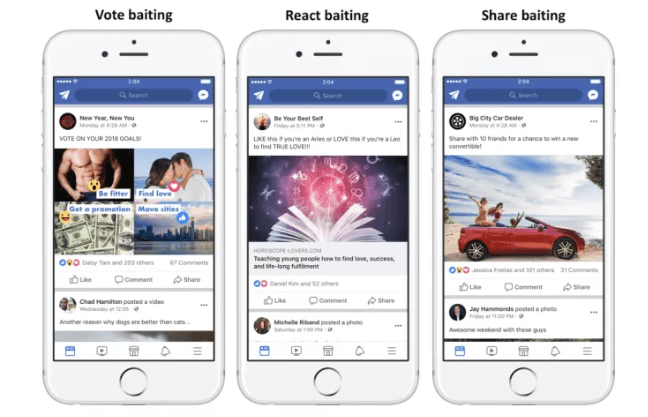 For example, Facebook is now lowering the reach for posts that have engagement bait. The takeaway here is that what might have been a smart tactic to use in the past is now detrimental to brands if they even consider trying to ask for direct engagement. This leads to brands having to come up with much harder and advanced Facebook strategies to increase engagement. So it's super important to speak with your marketer or agency on ways to move forward with these changes. Now, you don’t need to abandon your current Facebook page or start over from scratch, either. Instead, you just need to consider ways to set your posts up for greater engagement. That is why we created the top 5 ways you can increase Facebook engagement for your brand. Let’s take a look at how to increase Facebook engagement. The more engagement a post receives, the more likely Facebook’s algorithm is to reward it with reach. This might seem a little backward but it helps with the importance of timing your posts to absolute perfection. By posting when your followers are most active, you instantly increase the chance of getting likes and comments substantially. You can do this by going to your Facebook page insights. Basically, it will give you the optimal time to post to get the most views and engagement. Just because 70% of your followers might be active at 3 pm doesn’t mean you will get the most engagement. So test your audience one is by trying to post consistent content that is specifically assigned to a certain day of the week. For example, you might have Monday motivational post go up at 8 am every week. This will start getting your active followers to engage with your motivational post every Monday. So it’s important to know which day, time and type of post to release in order to get the highest engagement. 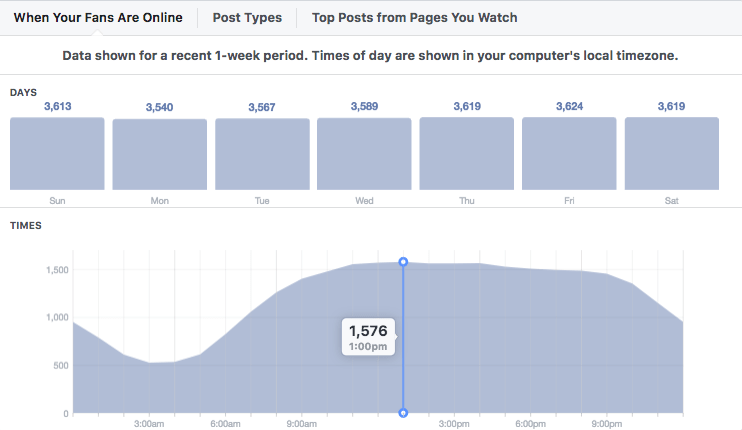 By monitoring your post timing, you’ll have a leg up on engagement for your Facebook page that will allow you to start getting ahead of your competitors too. Many brands make the mistake of putting themselves in the spotlight when it comes to their content. For example, you might be running a Facebook page for your clothing brand that is all shirts. Should you exclusively post content related to just shirts? There’s only so much that can really be said on a day-to-day basis about your brand or product. As soon as your content starts to feel repetitive or stale, your audience will tune out. Which is why having a user-generated content strategy is so important in increasing your engagement, sales, and customer loyalty. 76% of customers say they trust content shared by “average” people more than content from the brand itself. Aerie a swimsuit apparel company uses a hashtag campaign called #AerieREAL to let customers post pictures of their new swimwear, which Aerie then reposts on their page. It’s a great way for women to show off their new swimwear showing how loyal their followers are to the Aerie brand. This result of a user-generated content campaign, Aerie has increased their engagement and followers becoming a super successful brand in their market. When Facebook announced they’d be showing users fewer posts from brands, politicians, and businesses everyone became understandably upset. Lower organic reach means brands will likely have to spend more money on Facebook Ads forcing brands to pay-to-play to get their content in front of the right target audience. But there are more ways around that one being an employee advocacy strategy. Instead of solely relying on your brand Facebook page to share your latest content, why not ask your employees to do some of the heavy lifting? Think about it. Who else do you know that is closer to your brand than the ones who work there every day? Employees! You might think that your audience will catch employee-generated content and then see it as self brand-generated content. But that’s actually not the case. Consumers trust content they see from company experts two out of three times. 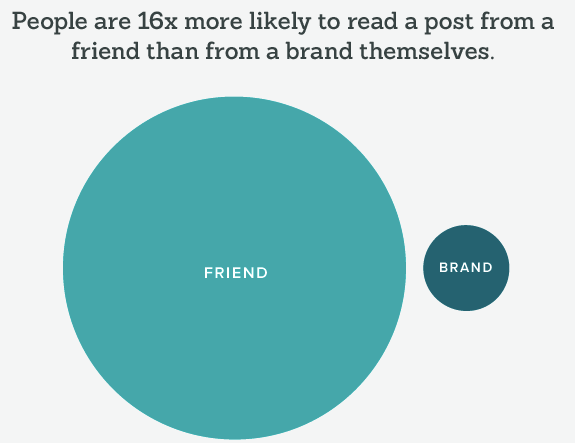 People are 16 times more likely to read a post from a friend aka your employees than from a brand. The point is, if you’re not using employee advocacy, you’re missing out on easily increasing your engagement on Facebook. Facebook is trying to lead brands away from excessive askings of “TAG YOUR FRIENDS!” and “CLICK THE LIKE BUTTON FOR...” posts. So including a call to action within your posts is definitely still an option to increase Facebook engagement. Doing so provides your customers with a voice to share their thoughts and allows them to tell you what they think should be next. So what are some of the questions you can ask to ensure that the conversation will get have an upside for your brand? There are many ways you can get information about your audience through Facebook Insights. I’m not going to give a 'how to' on that but here is an article. Next, make sure you frame the questions you are asking in a way that ensures a positive response for them. For example, with a lot of our clients' social media posts, we always ask questions to help increase engagement and also get user-generated content. The post received 175 likes, 4 comments with some great comments. Not too bad for a post that had a follower count of 300 at the time. Visual content wins big on Facebook plain and simple. Photos make up an overwhelming majority of content on the platform. Which means people would much rather engage with visual content than a link or wall of text. So if you want to improve Facebook engagement, get visual. Many brands and businesses make the mistake of relying on stock photos or images pulled from elsewhere rather than creating their own content or taking their own photos. This is a huge problem because it not only does not help with branding but it has no consistency in getting engagement. Instead, brands should strive to show the personality of their business. There’s a reason why photos “shot in the moment” is so popular from big brands now. So you should contact your videographer, photographer or just use the outstanding cameras we now have on our iPhones to get higher quality content. Do you have a strategy to increase Facebook engagement? In the end, what matters most is making sure you adapt to change especially with Facebook. Since there is so much opportunity there to increase business. If you look at the top brands on Facebook, you’ll notice that they’re consistently posting and interacting with their followers. So if they are doing it, you probably should be too. Now if you have a dead page because you don't engage with followers well now is the time to turn that around to start getting better results. The good news? If you still are having trouble trying to implement create or run your Facebook page and ads Chappell Capital can be a tremendous help to your brand. What are some ways you think you could get more engagement on Facebook?